Glowcare are a Vaillant UK official service agency for the North West of England specialising in sensibly priced, expert repair and servicing of all the latest high-efficiency Vaillant ecoTEC plus & pro, and Glow-worm boilers. We are a North West based, independant company established in 1992. Areas covered are: Accrington, Blackburn, Chorley, Darwen, Euxton, Preston & Rochdale and many other local towns and cities throughout the Lancashire area. Working from 8am until 8pm, Monday to Saturday, we are committed to bringing a knowledgeable, professional and reliable service to you. As Vaillant’s approved service agent, Glowcare work on the full range of high-efficiency Vaillant ecoTEC plus, 824, 825, 831, 832, 835, 837 & 838, Vaillant ecoTEC pro, 24, 28 & 30 system & combi gas boilers. We also service and repair many other Vaillant ecoMAX and Vaillant TURBOmax boilers. Issues we regularly resolve are F.1, F.27, F.28, F.29, F.54, F.61, F.62, F63 & F.64 fault error codes, faulty F.75 Pressure Sensor, Gas Valve & PBC problems, and brass and plastic Leaking Vaillant Diverter Valves. We also repair and service the latest Glow-worm Betacom, Easicom, Energy, Ultimate, Ultracom2, 24, 30 & 38 CXI, HXI, and SXI system & combi gas boilers. Glowcare repair such fault code issues as F1, F2, F3, F.5 F.6, F9, F11, F12, F13, F14, F22, Faulty PCB, Gas Valve Failure, Intermittent Pressure Gauge Dropping Failure, Leaking boiler Expansion Vessel, Boiler not working, Blank Display problems. We carry a comprehensive stock of genuine Vaillant parts, ensuring a single visit repair for our customers. Annual Service. Glowcare also carry out the important Annual Vaillant Warranty Qualifying Service. This is required to maintain the Vaillant ecoTEC’s warranty through the boiler’s guarantee period. Gas Safe Registered we are qualified to work on Natural Gas and LPG. For many years we have attended factory training courses at Vaillant’s centre of excellence at Belper in Derbyshire, adding to our expert knowledge of the Vaillant domestic gas boiler range. Please see our Customer Testimonials page, to see how our Vaillant and Glow-worm customers rate our service. 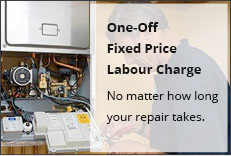 Contact Us today on 01244 880725 – 07789018775 – Email info@glowcare.co.uk for our fixed price repair or service. Below is a list of the many areas we cover in Lancashire.